Scrolling through my latest emails a couple of months back, I opened one from a travel company who’s aim was to entice me to book an off the beaten track tour. As I scanned through the various places one in particular caught my eye. Amazing photos of strange looking temples dotted around a jungle surrounding, the sun setting in the distance with a haze shimmering over the backdrop really caught my imagination, and had me thinking Indiana Jones and lost temples! Looking at the article title “Myanmar” I wondered where in the world that was located. Some may laugh but my geography is only as good as the places I have been to. After all, the only reason I toured Latin America for 9 months was after a TEFL course in Costa Rica – following the same “wonder where that is..?” thinking. Anyway, I remember turning to my colleague and asking “Ever heard of Myanmar?” To which she replied “Nope but am sure Google has” making me feel slightly better. I quickly learned it was next door to Thailand, had been previously known as Burma and had only really opened up to tourism quite recently. My curiosity was piqued. I had never really visited Asia, but for some reason decided to do some research on Myanmar and see what it had to offer. Being the sometimes impulsive person I am, next thing I knew I had managed to book 3 weeks off work and a flight to Yangon for end of December – sorry tour company but thanks for the idea! Determined to stay true to backpacking and not take the easy tour option, we have decided to wing it, booking only the first 3 nights in Yangon. Sounds fine you may think. However, every blog and guide I have read has warned me to pre book during peak season, which just so happens to be December to January. But am thinking how bad can it be, right? So here’s to faith and fate! Portugal, for one reason or another seemed to be the only country I couldn’t quite make it to over the years. I had visited all of southern Europe and Portugal just stuck out like a sore thumb. So when my friend suggested an extended weekend break, I couldn’t resist asking “Have you ever been to Portugal?” Luckily the reply was no. 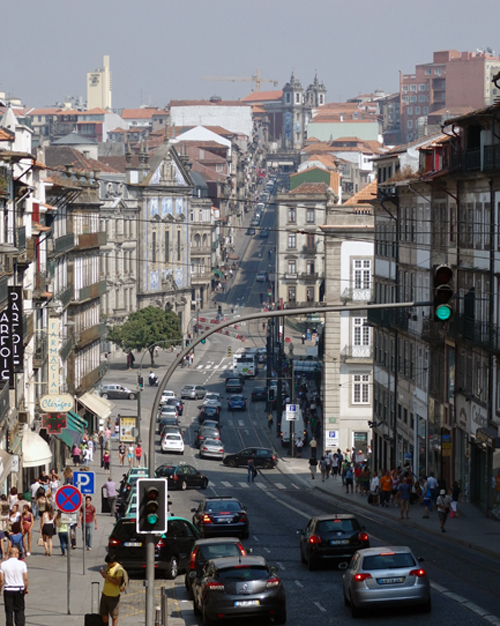 So without too much planning we set our hearts on Porto and booked our flights for the beginning of September. Just as I had experienced in Tuscany, Italy, I soon found that the hostels on offer in Porto were more expensive than the basic hotels. Knowing that we would be eating out to fill up on all the fresh fish, we opted to save some money and booked the Residencial Escondidinho. Located just a 5 minute walk from the Bolhao Metro Station, which takes you directly to the airport, and surrounded by places to eat, it offered all we needed. It was a cheap and cheerful place and where it lacked in terms of modernisation, it made up for in the warm and friendly manner of the 2 ladies on reception! As soon as we landed we headed for the Metro station, in front of the airport, and purchased our Andante cards at the machine. These work in a similar way as to the UK Oyster card, except that instead of loading cash amounts, you load up journeys. The Metro system itself is surprisingly modern and clean, so much so that it was a pleasure to travel on it. 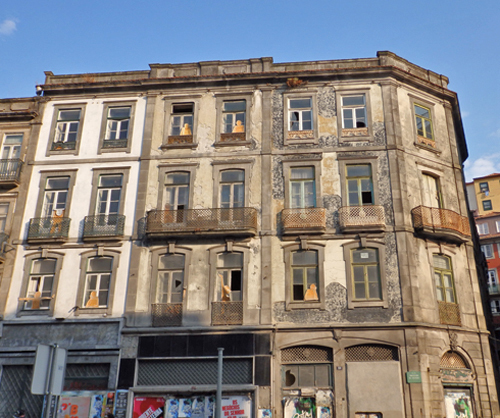 What we really enjoyed about Porto is that everything you need is located on its doorstep. You can amble through the pretty streets of the historic quarter, take a tram ride to the beach, go on a river cruise, sample the many varieties of port and of course hop from one delicious fish place to the next, without having to go very far. We were lucky enough to have warm days and therefore explored the city mainly on foot, with the odd tram ride (partly due to the fact that I had never before been on one before!) We even took a take day trip to the nearby town of Vila do Conde, which is connected to the city of Porto via the Metro line. Getting around the city is incredibly easy and apart from the trams, reasonably priced. One of the opportunities we could not pass up on was taking a port tour. 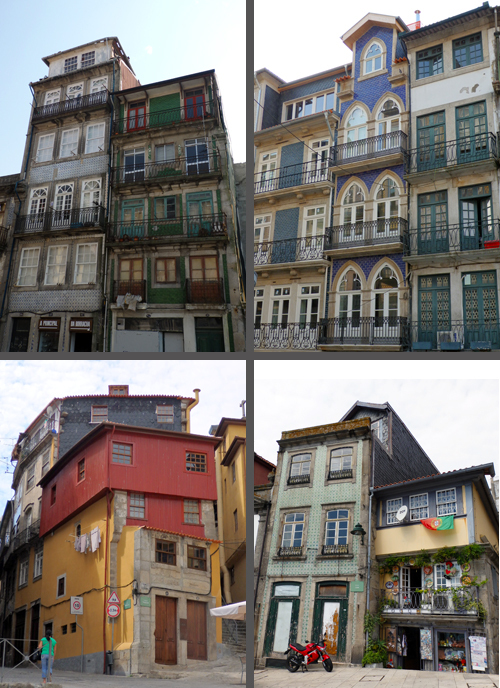 The city is naturally divided into 2 halves by the river Douro, with one side dotted with coloured old houses and churches and the other filled with port houses. We decided to visit Taylor’s Port house as our guidebook said they offered free tours and tastings. Unfortunately, when we arrived this was no longer the case, however they did offer a tour and 3 tastings for €3 each. A price I couldn’t really argue with. The venue was very pretty, with a restaurant and shop, but the cellars were quite incredible. If for no other reason than for the amount of barrels actually stored there! 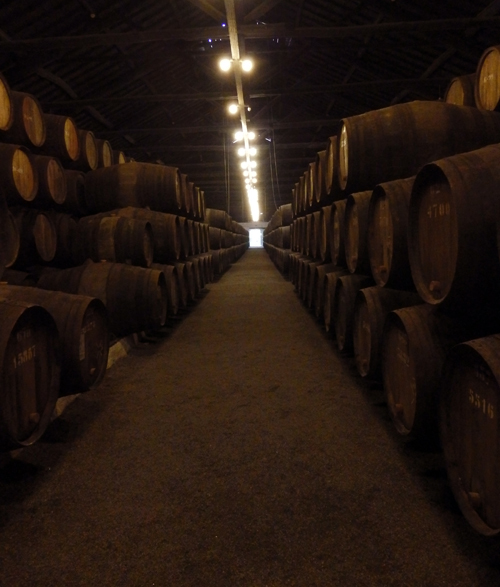 There were hundreds of these 500 – 600 litre barrels which formed row after row of walls within the cellar. Amazing to think how much angel share that is! 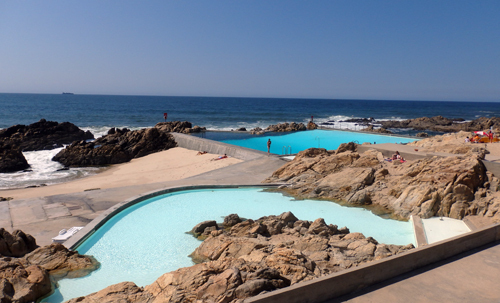 The area of Matosinhos, just north west off the centre, offers and array of eating places along the coast and whilst in the area we found the open air coastal swimming pool of Piscina das Mares, located on Avenida de Liberdade and designed by Álvaro Siza. It has 2 pools filled with sea water and is located amongst the coastal rocks. A cafeteria and changing rooms are also on site and it makes for a nice place to spend the day. There are 2 entrance prices, depending on whether you spend a full day or if you arrive after 2pm, of €8 and €5 respectively. One thing we couldn’t fault was the fresh fish dishes. 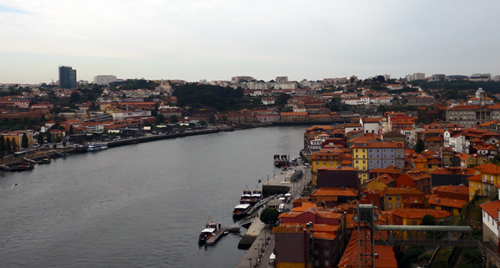 If you are a fish lover then Porto is definitely the place for you. Although not necessarily cheap, the portion sizes definitely offer good value for money with an average fish dish setting you back around €8. After spending far too long back in the UK since our round-the-world travel I decided to go and tick another dream off my list, Tuscany. Despite having family in Italy and having visited Rome many times over the years I had never quite managed to get myself to Tuscany. As such, I decided it was time! Using my Avios points I managed to book a return flight from London, Heathrow to Rome, Fiumicino for a grand total of £35. As my aunt was visiting us in the UK she gave me her apartment keys for Rome to use as a starting point, which provided me with a couple of nights of free accommodation. 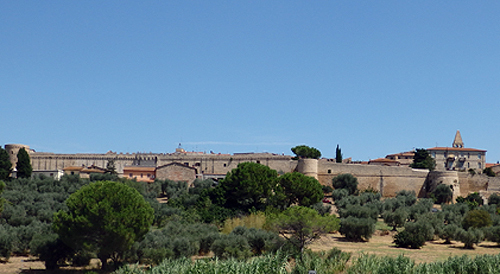 I had researched going via public transport using trains and buses, but as I only had 10 days in which to squeeze as much of Tuscany in as I could, I decided to hire car. Being the last 2 weeks of August the rental was not cheap at around 350 euros, but as I had in essence had a free flight I figured it was worth it for the freedom it would give me. Road lines are used for guidance rather than for actual lanes with cars straddling lines rather than lanes, parking seems to occur at any free space regardless of location or if there is already someone parked there and indicators must obviously be a missing component on Italian cars, making it all the more challenging trying to understand what drivers intend to do at junctions, roundabouts and just about anywhere in general! Don’t think I was completely naïve to this before hiring a car. I had many years ago in fact hired and survived the rental of a scooter in central Rome. However, a car is a whole other matter, especially when you have never driven a left-hand vehicle and keep forgetting that the other half of the car is on your right and not your left! So with a slightly higher than usual blood pressure level I ventured from Rome into the region of Tuscany. 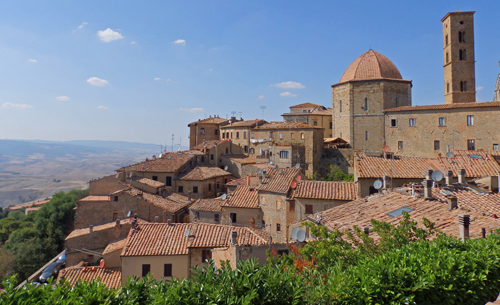 Now you really can’t go wrong with just driving around Tuscany, as there are so many beautiful little old towns “borgo” dotted all over this region that every corner brings a new delight. 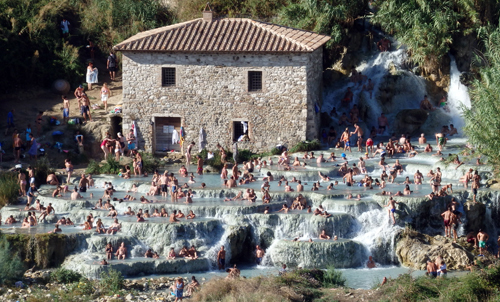 However, I had selected a few key places I wanted to see and in the end I spent my days exploring; Capalbio, Magliano in Toscana, Scansano, Saturnia thermal pools (free access), Grosseto, Volterra, Siena, Florence, Pistoia, Vicopisano, Pisa, San Miniato, Monteriggioni, Monticiano, Certaldo, San Quirico D’orcia, Montalcino, Bagno Vignoni (free access) and Bagni San Filippo (free access) thermal waters. 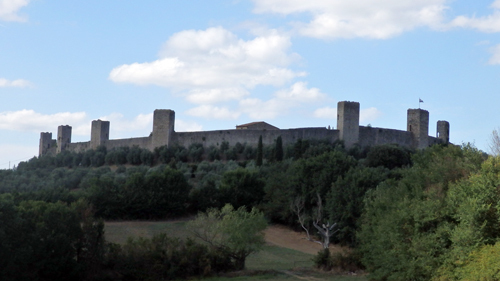 Magliano in Toscano: a picturesque village of only 3,000 odd inhabitants with intact fortress walls surrounding the small community. 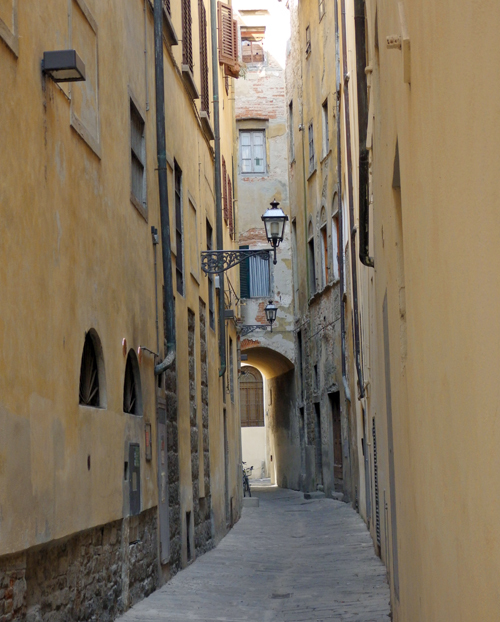 Siena, a beautiful old city, full of history and yet surprisingly well maintained and welcoming, with plenty of pedestrian only winding cobbled streets. 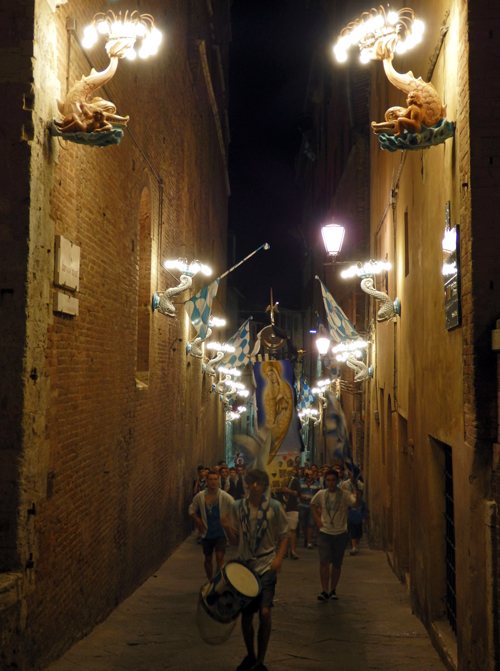 Siena is divided into “Contrade” or districts, and there are 17 in Siena, each represented by a symbol along their walls, such as the fish. 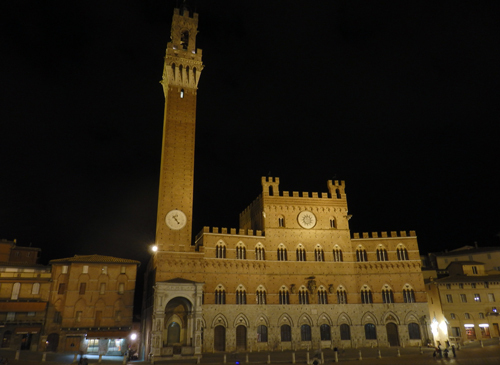 I loved Siena so much that I went through it again on my way back. Volterra, I admit I originally went as I thought Twilight had been filmed here and wanted to see the pretty town that was used in the film. However it turns out they had actually filmed in Montepulciano! Nevertheless, the sleepy town is known for its alabaster stone work and is the perfect place for a lazy afternoon. 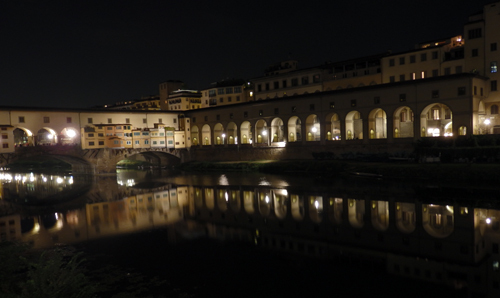 Florence: the most known city in Tuscany along with Pisa and probably the biggest. 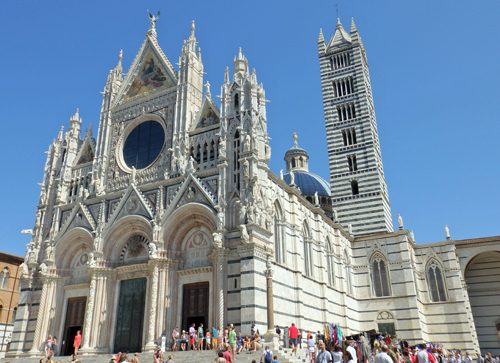 Although beautiful in its own right and full of culture it felt it has less charm than its neighbour Siena, but definitely still worth a visit. 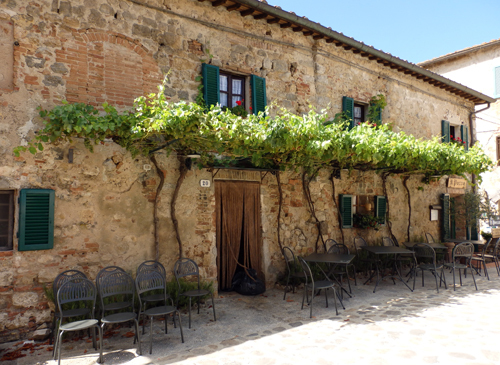 Monteriggioni, although a little touristy, the main plaza and surrounding cobbled streets are extremely picturesque and it feels like stepping into a postcard. 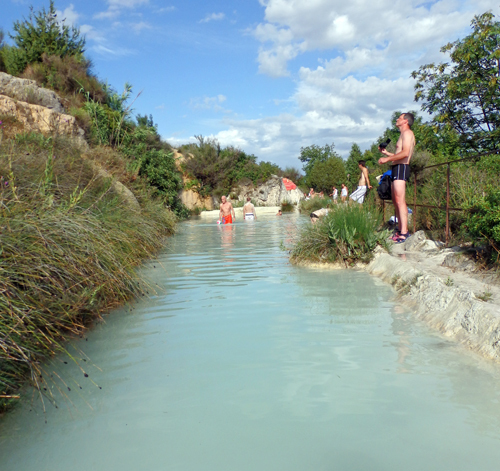 Saturnia and Bagno Vignoni, although very different from each other, with Saturnia being busier and more interesting in terms of pool formations, and Bagno Vignoni being quieter and smaller, they both offer a great free spa experience complete with muds! 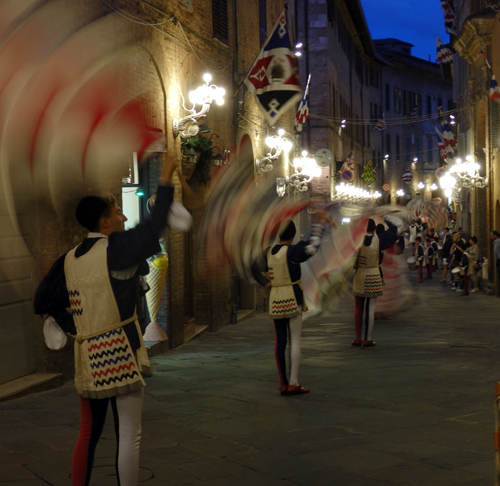 If you were stop at every little village around Tuscany you could happily spend a couple of weeks exploring as each place has its own unique attraction. For accommodation I booked each place a day in advance using various sites such as booking.com, trivago.com etc as I was never too sure of my itinerary. This worked out better than just trying to find a place on the day, as despite finding numerous “agriturismo” places in the countryside; they were not only fully booked but also extremely expensive. Something I did not anticipate as I had expected them to be similar to the chambres d’hotes of France. I also noticed that hostels were only available in the main cities such as Florence, Pisa etc but they were not necessarily the best value for money. One thing to bear in mind when travelling in Italy though is cost. It is not a cheap country to visit and prices in general are on par or higher than the UK, so budget accordingly. For example, a double room can start from 40-45 euros, a plate of pasta will set you back around 7-8 euros, a salad can be about 6-8 euros and a slice of pizza is 3-4 euros. However, this is the one country where you are pretty much guaranteed good food anywhere you go, and can happily ask for the house red or white and get a decent wine with your meal! People have long since associated England with tea drinking and afternoon tea, a practice started by Anna, the 7th Duchess of Bedford, in the early 19th century to help her reach dinner time. 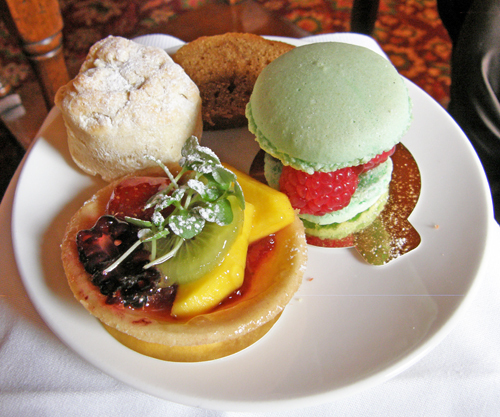 These days you can still experience “Afternoon Tea” at many hotels nationwide, usually between the hours of 3pm -5pm where you have your tea and are presented a selection of small sandwiches, scones and cakes, all served on tiered trays. 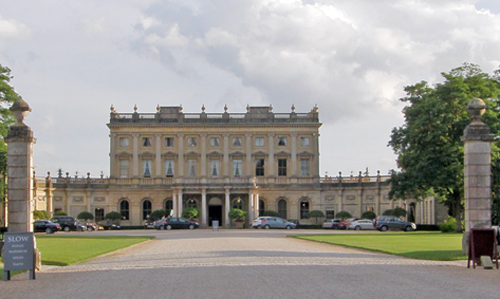 With my aunt visiting us from Italy, I thought it a great excuse to treat my mum and aunt to an afternoon tea at our nearby Cliveden House Hotel, in Berkshire. 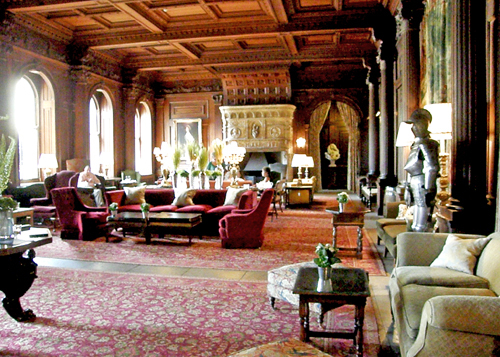 The beautiful stately house is set in in over 350 acres of gardens and dates back to the 1600’s. Nowadays, the house is used as a hotel and event venue with the gardens being part of the National Trust, making it an ideal place for afternoon tea. We booked ourselves in for 4.45pm on a Friday and were shown to our table in the main room. 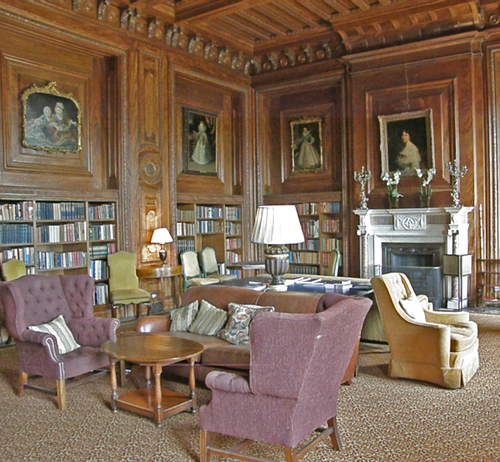 As we settled down and each ordered our preferred tea from an extensive list, we were greeted by the very friendly marketing manager who gave us a wonderful tour of the various rooms of the house and explained the extensive history of the house. 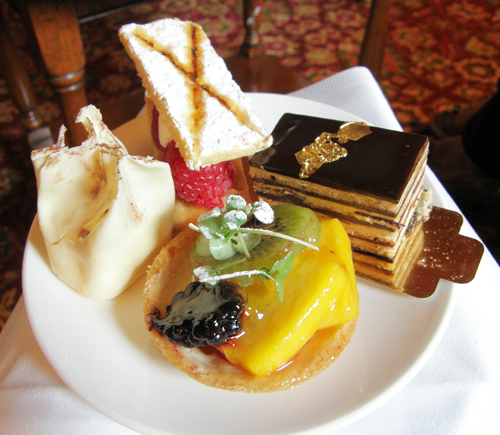 As we returned to our table our trays of exquisite looking food started to arrive. Having ordered 2 vegetarians and 1 vegan option I was impressed to see that this did not mean a lack of selection on the cakes offered! We were also graciously treated to a flute of champagne each and happily spent the next hour feeling thoroughly spoilt. The sandwiches, scones and cakes were lovely and we struggled to finish them, despite not having had lunch! Nevertheless, we left feeling very satisfied with the food and refreshed from an afternoon spent being waited on and generally very well looked after. The experience is definitely one to class as a treat, but all the same I think if you are visiting the UK and really want to experience something different from the usual tourist attractions then you should consider it. Afternoon teas can be found at many London hotels, however why not make a day of it and choose one a little further afield where you can also spend a few hours strolling through their gardens?